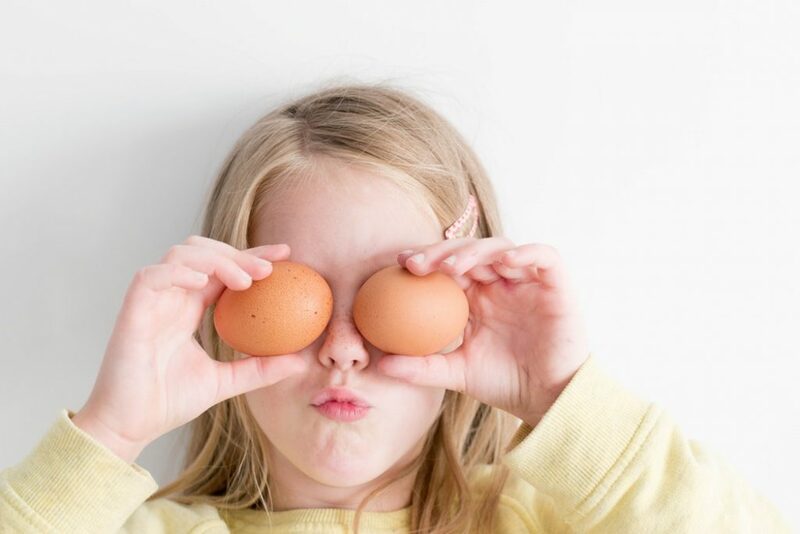 Discover all the amazing things there are to do this Easter at The Hullabaloo, winner of Best Family Venue at the Fantastic for Families Awards 2019! Come explore our free Easter trail and Enchanted Forest Creative Play. 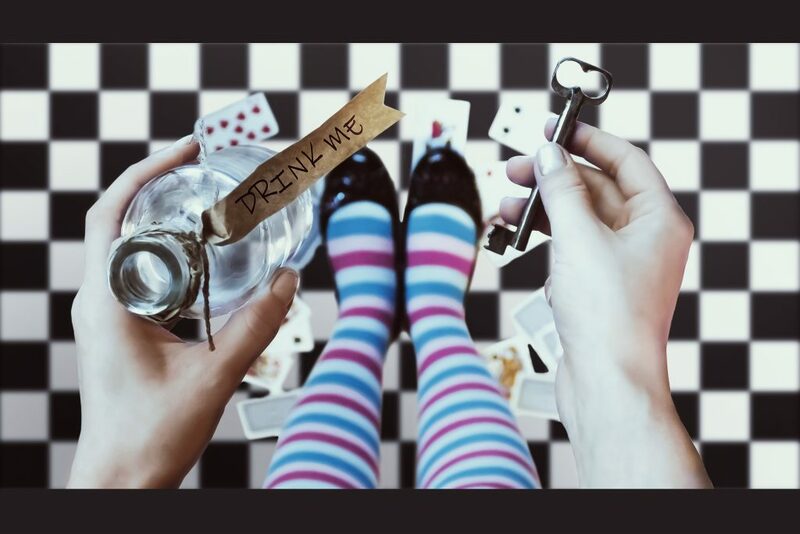 Listen to Easter Storytelling like you’ve never heard it before, then have a sprinkle of the senses in FIVE, and end with a trip down the rabbit hole to A Hullabaloo in Wonderland. There’s so much to see & do this Easter at The Hullabaloo. 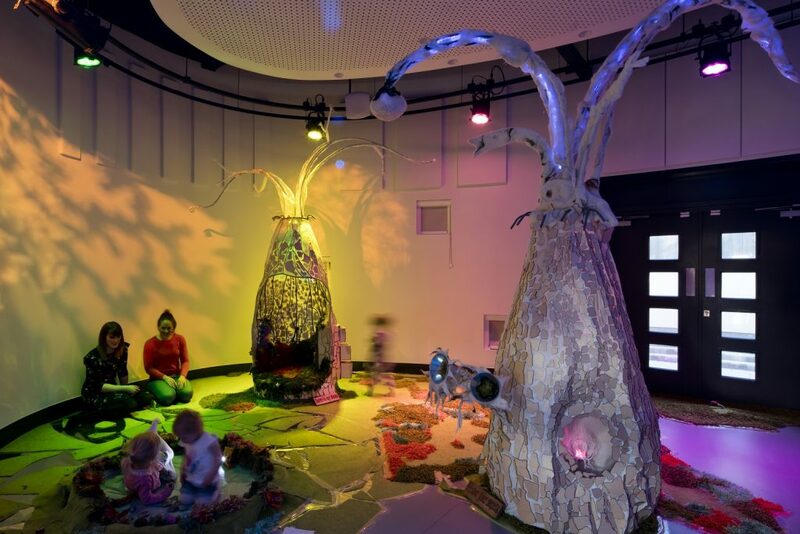 After its roaring success last year, Enchanted Forest (for children 0-10 years and their grown-ups) has returned to our Gillian Dickinson Creative Play space. Free to access, the installation has been created by professional artists, sound designers, and creative technologists. Enchanted Forest was inspired by the ideas of local children who asked for storytelling trees, luminous fairy ponds and musical lily pads. 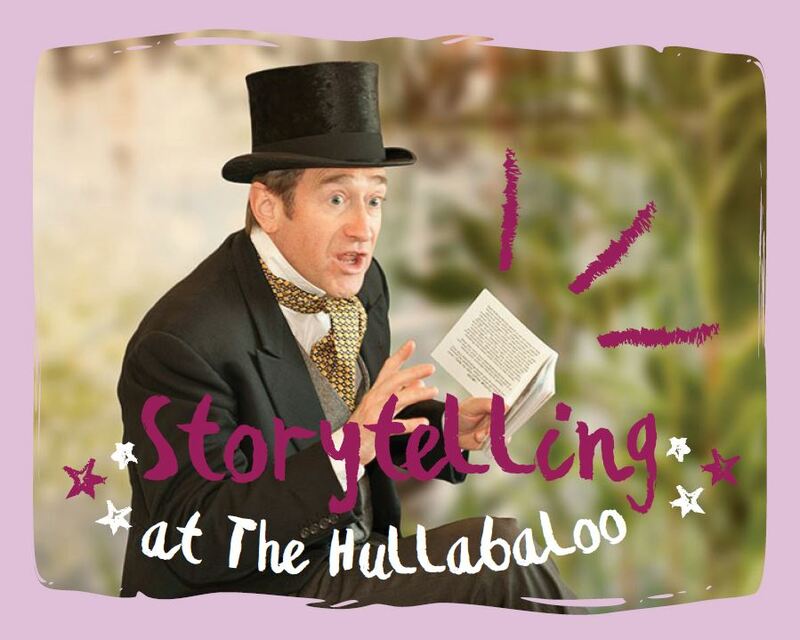 The Hullabaloo’s theatre programme sees a magical, interactive sensory journey for the whole family in FIVE, a collaboration between Theatre Hullabaloo and WinterWalker for ages 3-6 years. Join two dancers and a live musician as they use their eyes and ears, noses and mouths, fingers and feet to discover a world of play that makes the ordinary extraordinary. From April 6-22, an Easter trail will send children around The Hullabaloo looking for eggs left by the Easter bunny. Can you find where the bunny is hiding? Enjoy this free family event for the whole of the Easter holidays. Looking for unmissable Easter treat? Come along to our Easter Storytelling on Tues 16 & Wed 17 April (for ages 2-5 & 5-7) with master magic weaver Chris Connaughton! Children will make flags to join in the fun, before cheering on the Hare and the Tortoise, crying wolf and taking part in a number of Aesop’s Fables in our interactive storytelling sessions. Tickets are £3, and there will also be complimentary animal mask-making crafts in our café. 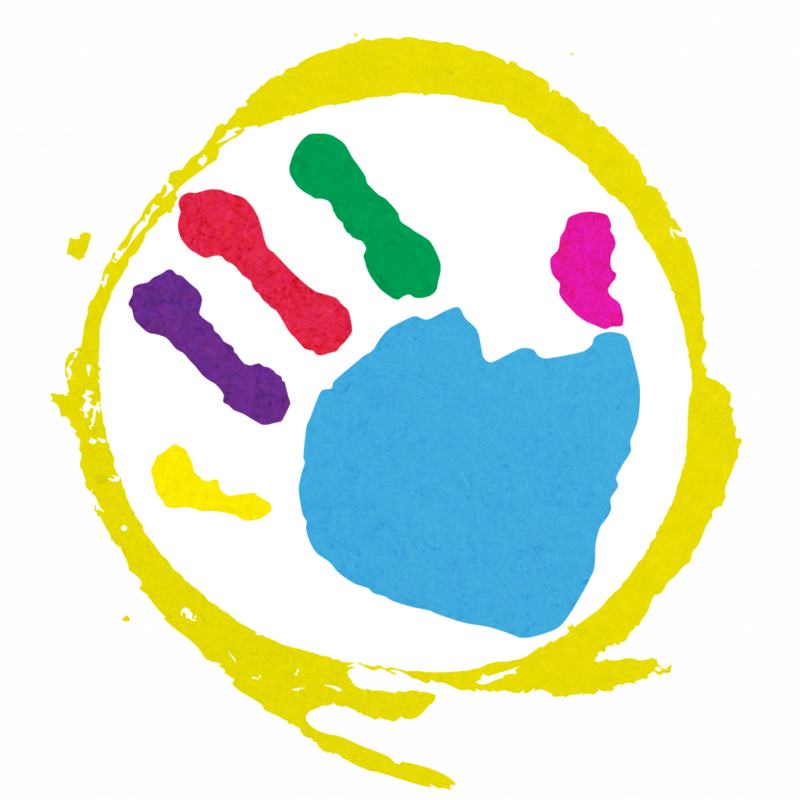 The Hullabaloo is a venue specially designed for children, young people and their families. It presents the best theatre specially made for young audiences, exciting creative play installations, storytelling, classes and much more. The venue is fully accessible and features a family friendly café at the front of the building containing a story corner with a lovely selection of books and our exciting creative play space is off the café right at the heart of the building. We have plenty of child friendly toilets that also include little toilet seats and low sinks. The venue also has a separate buggy park, baby change area, a microwave for warming baby food and lots of highchairs. You can find The Hullabaloo on Borough Road in Darlington. We all need stories. In a variety of forms. Spoken, read, shared. Especially shared.